RE: Is There A Craft Beer Bubble? 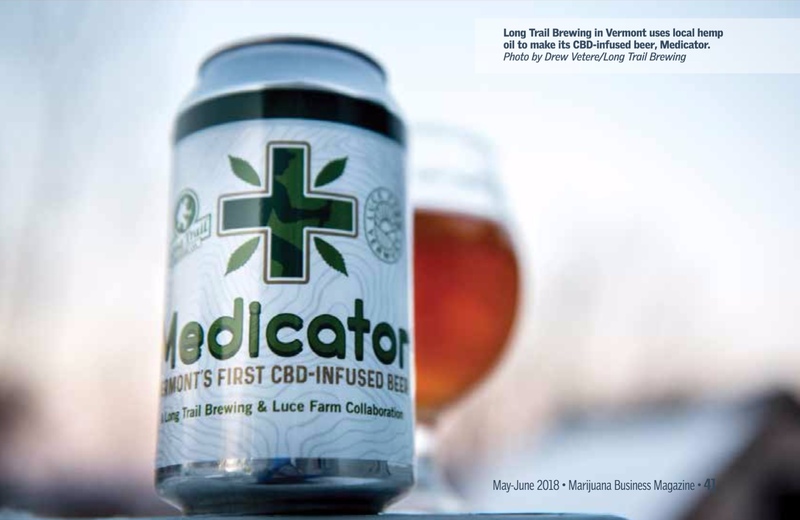 Fortune Magazine published a story by Chris Morris May 14th that is getting a bit of attention, posing the thoughtful question: Is craft beer in a bubble?. The New York Times published Craft Beer Is Booming, but Brewers See Crossroads asking the same question on February 4th. I am now getting this question quite frequently from my friends both inside and outside the industry. I’m in Chicago at the National Restaurant Association Show #NRASHOW and this was a hot topic last night over cocktails. 1. Market Growth: Where is the market going – meaning is the growth in craft share going to continue and to what level? 2. New Capacity: Given the market assumptions from #1, can the size of the market absorb the growth in total capacity? Market Growth: First, a little perspective: In craft beer boom 1.0 (circa mid 1990s), Chris Miller correctly points out there was a slow down in late 1997 and then flat to low growth for more than a decade before the current much larger boom. My company at the time was actively investing in and building multiple craft beer brands both on the distribution front in Chicago (Goose Island, Sierra Nevada, Pete’s, Bells) as well as regionally/nationally (Goose Island, Rogue). Fortunately, we also had a healthy import business (Grolsch, Staropramen, Tennant’s) that continued to boom during the slowdown. At the start of the current boom, we helped Flat12 start-up in Indianapolis and acquired Napa Smith Brewery in 2009 (sold in late 2012). There is very little comparison this time around from the 1990s. 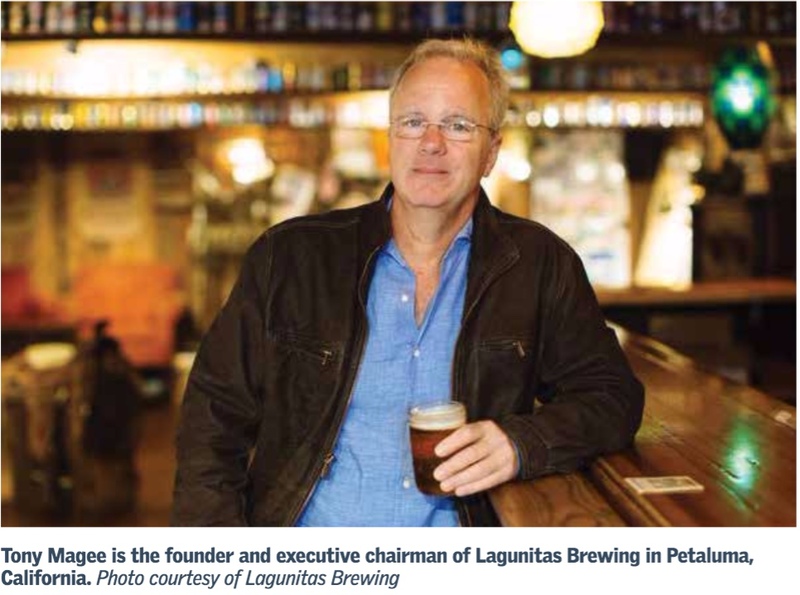 The degree of craft beer penetration into the beer market is fundamentally different. It is much deeper and wider, and is touching every market in some way. That said, the current level of craft sales as a percentage of the beer market is still quite small nationally (11% of volume according to the Brewers Association) vs in select highly developed craft beer markets (Portland, Seattle, San Francisco, Denver). That number has roughly doubled in the past 5 years. I predict craft beer sales will double again and exceed 22% of the US beer market by 2020. 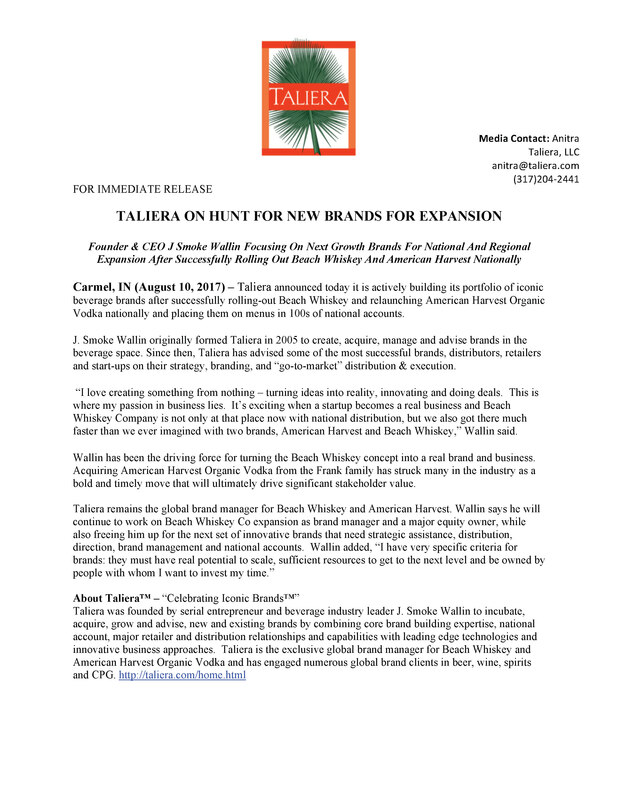 This mean approximately 22 million barrels of new craft sales on top of the existing 22 million. (NOTE: one aside/caveat: craft beer is narrowly defined as independent brewers excluding cross ownership by larger companies in the alcohol industry. This is more political than it is any reality with consumers. Therefore the current share is actually a bit larger than 11%, adding in brands from companies like Goose Island and Craft Brewers Alliance (ABI). My 22% number includes craft taken over by larger brewers). New Capacity: This is where the “new brewery every 12 hours” statistic is not the most relevant one. The important question is how much new capacity is actually being added to existing breweries combined with new breweries? 95% of the new breweries (and existing breweries) are more like restaurant businesses with a touch of manufacturing, than they are breweries. They will never sell any meaningful volume outside their four walls of the tasting room. There is nothing wrong with a local brewpub being a go-to stop for local people and there is clearly a market for this form of on-premise account. The real question is how much capacity are the production breweries adding and how many of the start-ups actually believe they are going to sell beer outside their four walls. This is where the true competitive dynamic in the marketplace will come into play. 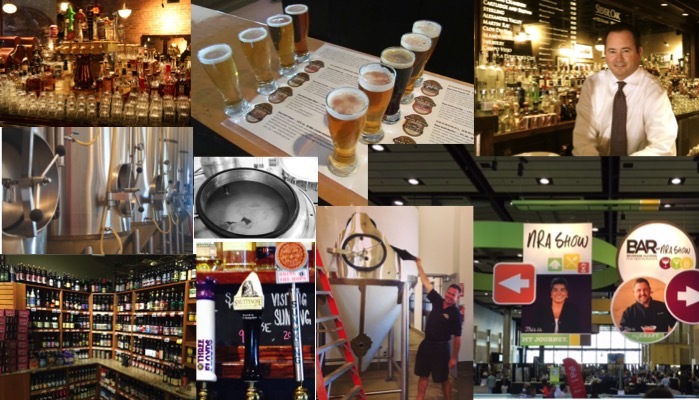 Most new breweries that intend to go to market through distribution and retail will fail. This is not because they have bad beer (some might but will die quickly) but rather they cannot make their brand relevant to the consumer in such a crowded field. This lack of differentiation and branding will prevent them from having any meaningful distribution and retail penetration. The lack of experience in running a full service brewery with a restaurant, attached to a major manufacturing operation, attached to a distribution business, attached to a consumer marketing company will be the downfall of many. Here at the NRA, the 1000’s of operators can attest to the competitive nature of the restaurant aspect alone. There are a lot of smart investors in restaurant companies that have leadership teams with deep experience fighting hard for their share of the consumers’ purchasing dollars. Breweries that want to scale must both run a brew pub that competes with them and figure out how to sell in their beer to a limited number of tap handles available. My conclusion as of today: The market can absorb many more breweries and capacity than exists today. The ones that remain focused on serving their local clientele will have the best chance of success. 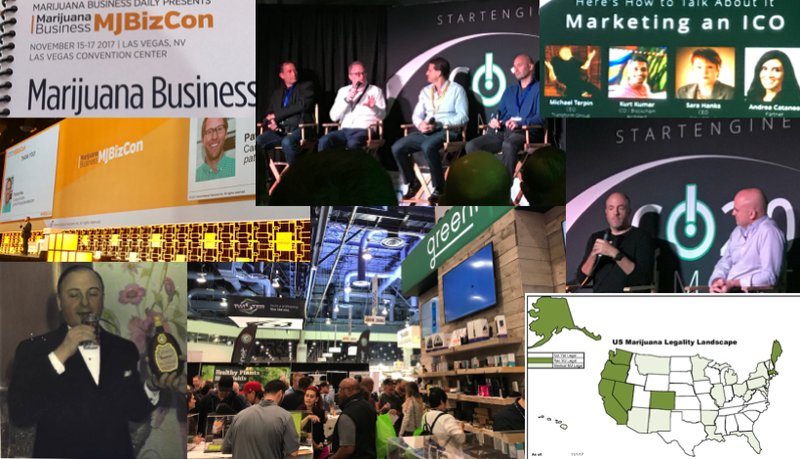 The ones that enter the fray of production and distribution will enter one of the most competitive and tough businesses that exist. Those that do not bring an experienced team, significant capital, creative and compelling branding and distribution to the table will fail. There is a bubble of inexperienced entrepreneurs combined with inexperienced investors who are entering the market. I look forward to the shake-out and the opportunities it will create for those prepared. In the meantime, I love capitalism at work and entrepreneurial spirit the craft beer market is demonstrating for all to see. Well here goes again with an issue that I get asked about frequently. Another interesting channel conflict is between and among the members of the retail tier. This channel conflict involves questions regarding who (what types of retailers) can sell which types of beverage alcohol and when alcohol can be sold (e.g. Grocery Sales of beer spirits and wine and Sunday Sales). These questions are raging across the country in different states. 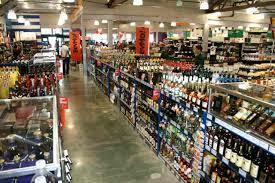 The conflict pits independent liquor stores (and specialty chain liquor stores depending on the state) against the corporate chains (Costco, Kroger, Publix, Target, Walmart etc). 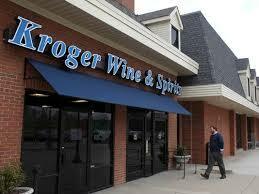 An example of this is the Sunday sales of alcohol at retail in Indiana. After passing out of committee with a “poison pill change” Sunday sales was killed in the Indiana legislature. 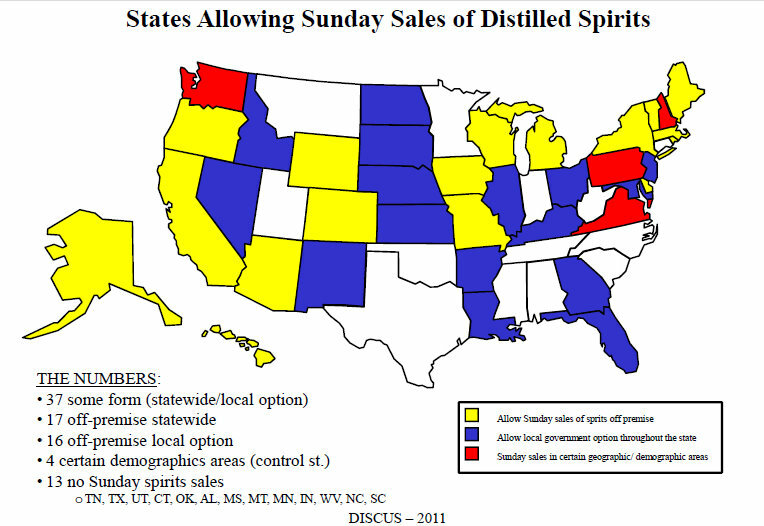 Sunday Alcohol Sales Meet Familiar Fate. In a closely related question pertaining to which type of retailer can sell which products, in 2014 Tennessee passed a law allowing grocery stores to sell not only beer, which they already could sell, but also wine. Wine in grocery stores passes; what’s next? The reality is there are so many new brands, it is hard to keep up with them all, for people in the industry, let alone consumers. This proliferation of new brands is driven by today’s consumer thirst for new things, literally. 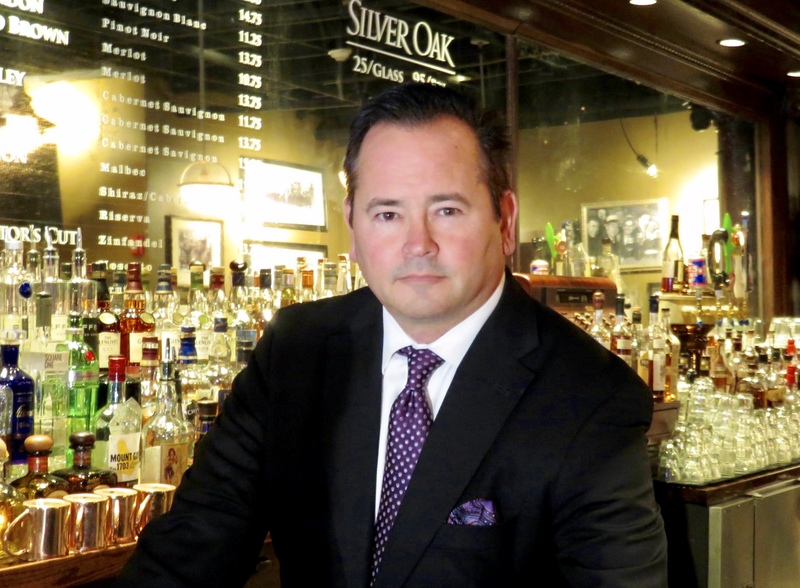 Generally speaking, I believe more open markets are better for consumers, but taken to extreme can cause massive consolidation and the independent specialty liquor shops and specialty chains find themselves at a significant disadvantage to the corporate chains. 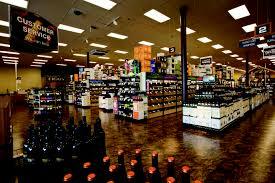 Markets like California and Arizona are examples of wide-open sales of beer, spirits and wine. This has been the case for a long time. 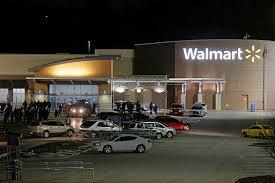 In these markets the corporate chains dominate the retail landscape. The independent sector is a much smaller portion of the total business. 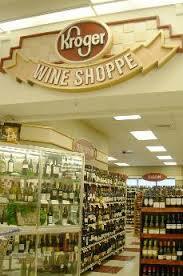 The large specialty chains have also been very successful in these markets (Bevmo! and Total Wine & More). The relative advantage of full line retailers (grocery) is what is driving the fights over Sunday sales. 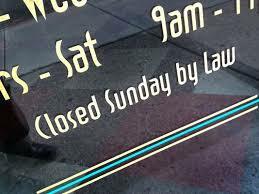 Liquor stores are not open on Sundays, but the grocery chains are. The groceries of course want to be able to sell alcohol, as they are open, fully staffed and have consumers in their stores who would like to purchase it. 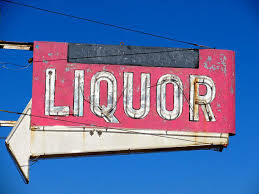 The liquor stores would have to man their stores with staff and the thinking among many is the incremental sales on Sunday will simply come out of sales during the week they would get anyway. Their worse fear is that the groceries will end up with a greater share of the incremental business with so many consumers already shopping in their stores on Sunday. The package stores won the recent Indiana fight by taking a quite reasonable position – that all retailers should be under the same sets of laws. In the end, the groceries could not support losing the significant freedoms they currently have just to get Sunday sales. in their ability to serve their customers and compete effectively with the other retail sectors. Walmart and most other full service retailers will never have the specialized staff that a focused specialty retailer of alcohol can have (There are exceptions on a store level, but this is true overall). This high level of knowledge and service with customers is what will keep consumers coming back. I think the bigger fear is a large specialty retailer (Total Wine) that has it all – scale ($1.5 million in alcohol sales) and low pricing, product depth (10,000 skus typically) and highly knowledgeable employees. They are very strong. The wholesalers and most of the suppliers all try to stay out of these arguments, since both sets of retailers are their customers. DISCUS (Distilled Spirits Council Of The United States) though has a long-standing policy to fight against anything that disadvantages spirits to other types of alcohol. They have been quite effective on this front in many markets. The craft (beer, spirits and wine) producers definitely benefit from a thriving independent market as they get more opportunities for their smaller or new brands than in the corporate chains, but they also benefit by having a more open market with multiple channels for consumers to buy alcohol. It’s a tough balance to maintain with many competing interests, but in the end the market will drive it, albeit more slowly than many consumers want with the local legislation and regulations market by market. I’d love to hear you thoughts on these issues and other examples in your state.